You can turn photography into a really rewarding hobby. Photography can capture something beautiful forever. Photographs can capture youth and innocence, and can be used to remind old people of their former vitality. These tips can bring a unique, original perspective to your photographs. Continue reading to see how you can bring more life to your photographs. Keep your camera settings simple. Do not attempt to take on too many customizable settings at once. Choose to master a new setting monthly, from shutter speed to aperture. Doing this focuses your attention on the image itself, rather than playing with dials while you lose your subject. Look at other photographers’ work for inspiration. Viewing others’ work will help you remember that capturing a moment can be done in so many different ways. The foreground is much more noticeable than the background in a photograph. Create a nice foreground in your shot to make your picture look more deep and to frame in more intimately. In life we are taught that even and centered is the way things should be. We have been taught all of our lives to always strive towards perfection, but when you are shooting photographs of a more off-beat, artistic nature, do not focus directly on your subject. Do not use the auto-focus feature that will detect your subject and place it in the center. Use manual focus and then lock prior to clicking your photo. Experiment with varieties of expressions, scale and perspective. Even an ordinary object can be transformed into a work of art if its setting makes it appear dramatically magnified or diminished in size or placed in a situation that is humorous or unique. Take everyday objects out of the mundane by composing them in your shots in an unusual way. As mentioned earlier, photography allows us to capture those fleeting moments so that we can enjoy them for years. Although a photo is just a piece of paper, many people cherish them more than anything else. Use all the tips you find in this article and elsewhere to become the kind of photographer you’ve always wanted to be. This entry was posted in Chicago Wedding Photographer on January 11, 2018 by Chicago Wedding Photographer. 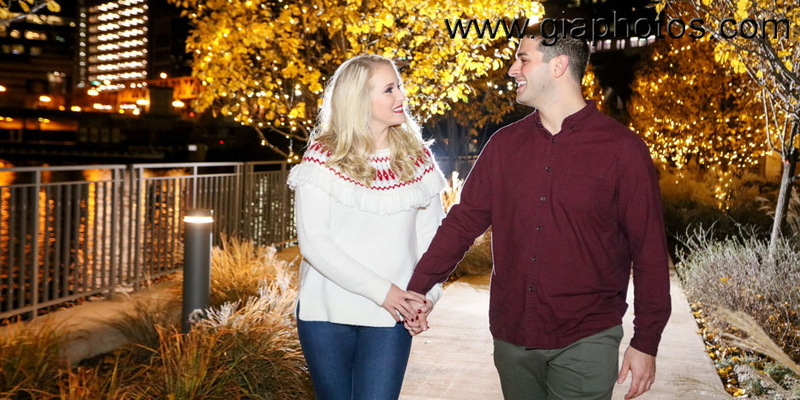 Winter, night-time engagement photo session. This couple is by far ready, to go to any extent for the photos they know they want. Not only it was freezing cold, but as you know Chicago’s wind chill makes you want to go anywhere but outside. With all these obstacles, we worked through the cold and chili air, and managed to have fun, nigh-time, winter photos, and everything they wanted, including hitting most Chicago themed locations. Simone is amazing in being able to stand any whether and is very patient. They are both great and I’m sure they’ll be truly happy in their future. This entry was posted in Chicago Wedding Photographer on January 8, 2018 by Chicago Wedding Photographer. Wedding planning is often quite stressful for the wedding couple. With so many decisions needing to be made, your family and friends can create interference and difficulty, no matter how much they just want to help. This article will help you plan your wedding smoothly. You may be able to save money on your wedding by planning it during an “off season”. The wedding season is traditionally from May through September. During this time, wedding venues will be more expensive. If it is imperative that your wedding be at this time, be sure to make your reservations far ahead of the date. Wedding dresses are one of the most expensive things to be purchased when planning a wedding. When you are shopping, try getting a dress that might not be traditionally thought of as one made for a wedding. Consider a bridesmaid dress, which costs less than a wedding dress but can still fit your needs. Even if the dress needs alterations, it could still be cheaper than an actual wedding dress. Online wedding gown purchases can be easy on your wallet, but give yourself enough time for alterations as needed. I bought my gorgeous gown online for only $150, but it cost me another $200 to have it altered to fit me perfectly. Be sure to include the potential alterations cost into your budget. Congratulations on making it this far. The fact that you haven’t run from the craziness of the planning stage says you are fully dedicated and looking towards the finish line. Your wedding belongs to you. Utilize the tips located above to make your wedding day special. This entry was posted in Chicago Wedding Photography and tagged wedding dress on December 31, 2017 by Chicago Wedding Photographer. Photography is a twofold pursuit, as it is an art form and a hobby. You can use these tips to improve and join them. A lot of people think that days that have lots of sunlight are ideal for taking pictures. In fact, bright sunlight can ruin most pictures. Direct sun will cast shadows and cause glares but it will cause highlights that are uneven and your subjects may squint. Try to shoot in the early morning light or right as the sun has started to set for best results. When it comes to photography, framing is key. If an object is distracting from the subject in your photo, remove it from the photograph. Zooming in is an effective way to accomplish this. This will help keep clutter out of your pictures, and eliminate any unwanted focal points. Often, photographers only take into account the background in a landscape photo and forget about the foreground. The foreground will be the most viewed area once the photo comes out. You can increase the depth appearance of your photo when you shoot the foreground in a way that makes a great striking frame. Spend some time playing with the features on you camera, especially the manual balance white. Indoor lighting will often be tainted with yellow tints from bulbs and flourescent fixtures. It’s rather difficult to fine tune artificial lighting, but luckily, the white balance feature on your camera is here to save the day. 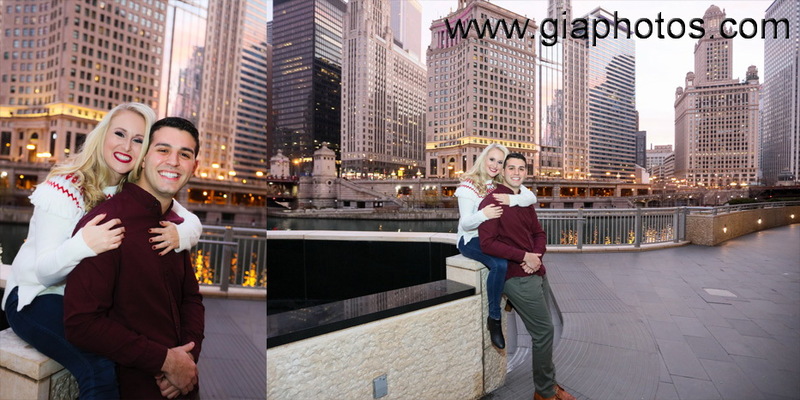 This slight change in quality will make your photographs have a much more professional look about them. If you enjoy photography as a hobby you can turn it into an art. By using the advice presented here, you can be the type of photographer that is proud of their pictures. Experiment with the settings on your camera and the use of lighting to create unique, high-quality photographs. 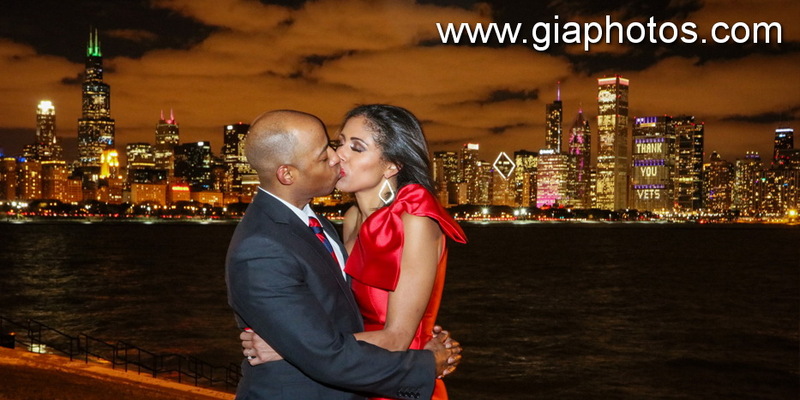 This entry was posted in Chicago Wedding Photographer on December 28, 2017 by Chicago Wedding Photographer. When talking about weddings, people tend to be overwhelmed with the stress associated to planning it. The trick to smooth wedding planning is staying abreast of every little detail. Read this article to find out more about how you can plan a successful wedding. Faith and religion mark one of the most important topics in marriage. Speak about religion with the person you’re engaged to and the close family members on each side so that everyone feels comfortable at the ceremony. As you plan your wedding, you must consider the type and amount of alcohol you wish to serve, especially if you’re working with a budget. If you have an open bar that is available for long intervals of time, the bill can run up really hard really fast. Ask the venue about their various alcohol service options. When you’re planning on who to give the speeches at your wedding, have them rehearse the things they would say in front of you so you can determine if everything they say will be appropriate. For example, you would want to eliminate any jokes that apply to a very specific group within your guests in order to avoid anyone feeling excluded and to make sure the speech is well-received by all who attend your wedding. Personalize the wedding so that it reflects your personalities, and that of your relationship. Pick a wedding theme that tells the story of your relationship. Avoid over-dieting just to fit your dress! Like any athlete will tell you, too much weight loss too quickly can result in being light-headed and dehydrated. You wouldn’t want to pass out. Instead, choose a dress that has a corset back that can be taken in and out as needed on the big day. Hopefully, the tips from above have helped you to determine the course of your wedding and will make for smooth sailing while planning your wedding. Keep everything you have just read in the forefront of your mind when you are planning your wedding, and subsequently the big day will be a huge success. This entry was posted in Chicago Wedding Photography on December 17, 2017 by Chicago Wedding Photographer. 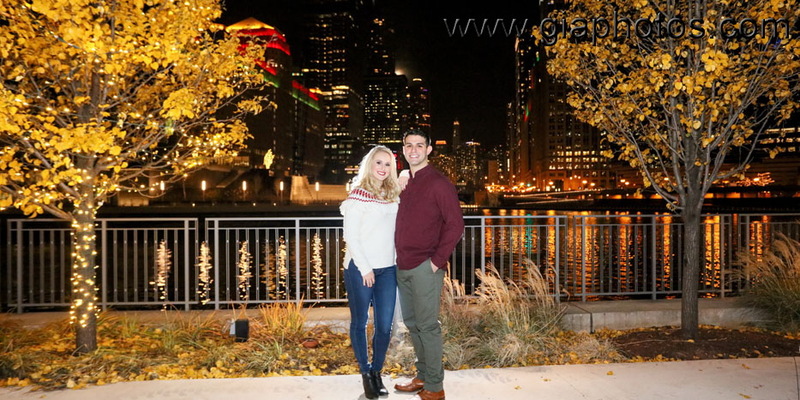 When I first spoke to Brittani about photographing their engagement, she wasn’t sure as to the locations she wanted, but it had to be night-time engagement photography in Chicago. So, we hit the most known spots and some not so known, but thanks to this wonderful couple, Brittani and Vito, I learned of a new spot for night-time photography, and it happens to be one of my favorites. Only in Chicago, one can find new locations all the time. I will for sure use it in my next ventures. This entry was posted in Chicago Wedding Photographer on December 15, 2017 by Chicago Wedding Photographer. Do you have the knack for taking interesting and creative pictures? Do you want improve your photography skills? If so, then this article is for you. The ideas here are some advice on ways you can improve your abilities in photography. To shoot better photographs, try to stand closer to what you are framing in your shot. Getting up close allows you to put a frame around your subject while avoiding any disruptive backgrounds. It lets you zero in on facial expressions, important considerations for any photographer taking a portrait. Smaller details are usually overlooked when the picture is taken from far away. Employ digital post-processing to make photos appear as pencil sketches, water colors, oil paintings, and more. Adobe Photoshop is the best-recognized software package for doing this, although there are other options available from other manufacturers. Converting your pictures into works of art is just a few clicks away. Overcast skies should not be included in the composition of a picture. Including too much of a gray sky will make your pictures appear muted and washed-out. If you find yourself shooting into overcast skies, taking classic, black and white photos may be your best option. If the day is not overcast, you can show as much of the sky as you want to, but make sure you are attentive to the lighting. Make sure you have a good sense of depth when shooting landscapes. Establish a sense of scale by placing an object within the foreground of your picture. When you set your camera with a small aperture, no more than f/8 and no more than f/16, you will get a clearer picture. The above advice has provided you with an exciting array of techniques for your next photography session. At least a few of the tips provided here should help you with your photography goals. Also experiment with different subjects so you can see what type of photography you enjoy most. This entry was posted in Chicago Wedding Photographer and tagged overcast skies on December 14, 2017 by Chicago Wedding Photographer. After a couple decides to get married, they think about their wedding plans. Weddings are a great time for inviting friends and family to share in your celebration of love; however, there is also plenty of work ahead. These tips will help you plan a great wedding. One thing to take into consideration is when you get married. The off seasons can save quite a bit of money that can be used elsewhere. Most weddings are between June and August. Wedding venues are more expensive during this time. Your best bet is to book your venue as soon as possible to secure the best possible price. Finding your perfect wedding dress might be an expensive activity. Look at dresses that aren’t actually classified as wedding dresses. They are usually much less expensive but they can be just as beautiful. You could try a bridesmaid dress, and it would be cheaper than an actual wedding dress. Even with some alterations to complete your vision for the dress, it could be less expensive in the end. Choosing your favorite gown online can be faster and cheaper, but do so well in advance to allot extra time for alterations. It is perfectly possible to purchase a gown for a few hundred dollars and have it altered for as little as $200. Include the additional cost in your budgeting. It can be hard to plan a wedding, but doing so will pay off. Remember, you are celebrating the beginning of a marriage, so try to have as much fun as you can. Use the advice here so you can have yourself a fantastic wedding. This entry was posted in Chicago Wedding Photography and tagged less expensive, wedding dress on December 3, 2017 by Chicago Wedding Photographer. There are many advantages in taking up photography. Just something in the very nature of photography puts it in a class of its own. For example, while taking pictures of people, you are able to capture innocence in the young and experience in the old. The ideas here can bring inspiration and a fresh outlook to your next round of photographs. Apply these tips to start taking more interesting pictures that will truly capture your memories. For landscape photography, attempt to capture the natural depth of the view. Create a good sense of scale with the use of a recognized object in your foreground. Giving sharp focus to your photos can be as simple as changing your settings. Apertures less than f/8 for digital cameras, and f/16 for full framed SLR cameras, will give you the image you really want. Your shots can be improved by simply moving in a bit on the subject you are shooting. Terribly far away shots prevent the viewer from seeing clear colors and details. Move closer to give your shots vivid clarity. Go ahead and walk around your subject as you shoot to find an eye-catching angle. Take your photos from all different angles to get different effects. Many digital cameras are made with a built-in flash that will pop up automatically when the lighting is dimmer. The convenience of this feature can be great for quick candid shots; however, if your goal is more professional shots, weigh options for the purchase of an external flash option. This will allow greater diversity in your lighting needs. Buy your camera and flash unit at the same time to ensure compatibility. As explained in the introduction, photography is about capturing fleeting moments and turning them into tangible memories for the future. Though photographs are merely printed on paper, they can be the things we prize more than any other possession. If you make use of the tips you’ve read in this article, you’ll be able to inject more life into your photographs. This entry was posted in Chicago Wedding Photographer and tagged digital cameras on November 30, 2017 by Chicago Wedding Photographer. Once a person becomes engaged, all they can think of is their dream wedding. This is a great time for friends and family alike to come celebrate your love. These tips will help you plan a great wedding. One thing you need to think about during the wedding planning process is what alcohol will be served, and how much you want to spend on it. If there is one thing people like more than alcohol, it is free alcohol, and an open bar can quickly become a huge expense, especially the longer it remains open. If holding the wedding at an outside venue, they may have alcohol serving options available that can control costs. Wedding dresses are notoriously expensive. To help defray the cost of a wedding gown, you may wish to shop for dresses that may not be considered a wedding dress. A simpler dress may suit your needs and will be less expensive than a typical wedding dress. Even if you factor in the cost of style alterations, the overall cost could be less. Never go on starvation diets just to fit into a dress. Like any athlete will tell you, too much weight loss too quickly can result in being light-headed and dehydrated. Fainting is a distinct possibility, and you don’t want that to happen to you! A good idea is to get a dress that has a corset back; this way, you can keep it on or take it off on your wedding day. There may be a lot involved with planning for a wedding, but the payoff is huge. This is one of the biggest celebrations you’ll have in your life, so you must make sure you have fun and enjoyment. Use the tips you learned here to create the wedding you have always dreamed of. This entry was posted in Chicago Wedding Photography and tagged wedding dress on November 19, 2017 by Chicago Wedding Photographer.